Introducing the Nisei Week Queen candidates. The 2016 Nisei Week Queen candidates: (back row, from left) Julia Tani, Jaclyn Tomita, Megan Ono, Shannon Tsumaki; (front row, from left) Kaya Minezaki, Heather Iwata, April Nishinaka. This year marks the 76th Nisei Week Japanese Festival, one of the nation’s longest-running ethnic festivals. 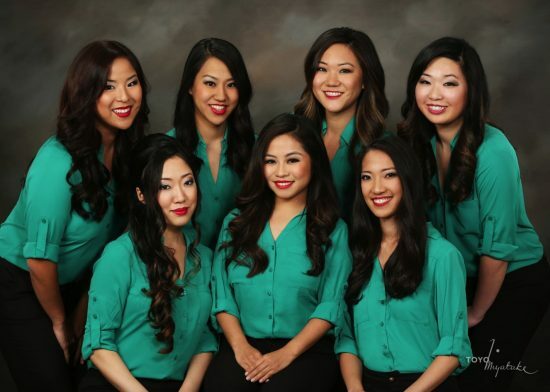 Seven candidates will compete for the title of Nisei Week Queen on Saturday, Aug. 13, at 7 p.m., at the Queen Coronation at the Aratani Theatre, 244 S. San Pedro St. in Little Tokyo. Upon official coronation, the queen and her court will represent the Nisei Week Foundation at this year’s festival and other community events locally and nationally (including Nagoya, L.A.’s Japanese sister city) throughout the year. The dinner prior to coronation will be at the DoubleTree by Hilton L.A. Downtown, with cocktails being served at 4:30 p.m. Coronation tickets are available at the Golden Circle level (includes special dinner prior to the event at the Double Tree by Hilton at 5 p.m.) with preferred seating at the coronation for $170 per person; general admission tickets are $85 per person. Heather Yoneko Iwata is 25 years old and graduated from the University of Southern California with a bachelor’s degree in communication. She aspires to be a leader in cultivating diversity within the entertainment industry and would eventually like to open up her own small business in Little Tokyo. Iwata’s hobbies include fly-fishing for trout at Mammoth Lakes, exploring hole-in-the-wall restaurants, mentoring at-risk teens, and venturing to foreign countries to experience how others live. Iwata will support the Pediatric Cancer Research Program as her platform. 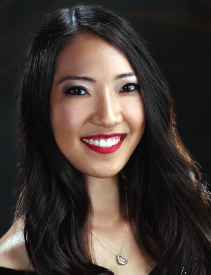 Kaya Minezaki is 24 years old and a graduate of the University of Hawaii at Manoa, where she received her bachelor’s degree in biology and a minor in English. She also studied abroad at Waseda University in Japan and Freie Universität Berlin in Germany before completing her degree. 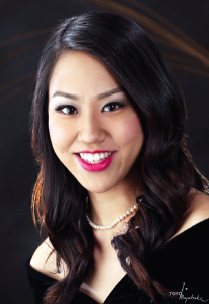 She plans to attend medical school, specializing in emergency medicine and working to provide compassionate healthcare to diverse and underserved communities. Her hobbies include playing the piano, dancing hula, foreign languages, hiking, traveling, and trying different ethnic cuisines. She will support Project Angel Food as her platform. 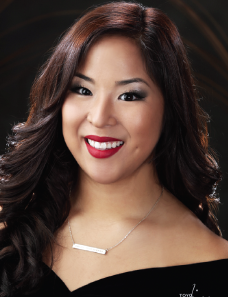 April Leilani Nishinaka is 23 years old and graduated from University of Southern California with a bachelor’s degree in physics and a minor in American studies and ethnicity. She aspires to become a high school math or science teacher. Her hobbies include doing arts and crafts, playing the violin, cheering for the USC Trojans and Los Angeles Dodgers, watching Disney movies, and empowering youth. The platform she will support is the Expanding Your Horizons Network. 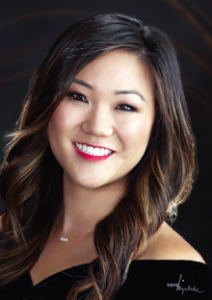 Megan Tomiko Ono is 23 years old and a graduate of CSU Long Beach with a bachelor’s degree in communication studies and a minor in marketing. She plans to attend graduate school and pursue a career in the nonprofit field, using her marketing and communication skills to support underserved communities. Ono’s hobbies include playing basketball, running and surfing at the beach, serving as a facilitator for Kizuna’s youth programs, and volunteering for other Japanese American community organizations. She will support the Lakers Youth Foundation as her platform. 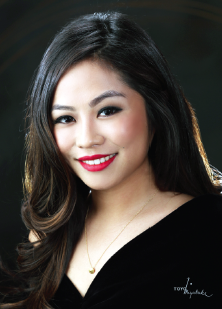 Julia Kiyomi Tani is 24 years old and a graduate of the California Maritime Academy with a bachelor’s degree in international business and logistics. She hopes to become a special education teacher or speech pathologist. Tani’s hobbies include playing basketball, volunteering in the community, working with special needs children, and going to Disneyland. She will support PATH (People Assisting the Homeless) as her platform this year. Jaclyn Hidemi Tomita is 24 years old and graduated from San Diego State University with a bachelor’s degree in multimedia art. She plans to attend nursing school to become a registered nurse, and later hopes to return to school to become a nurse practitioner and also pursue a doctorate degree. 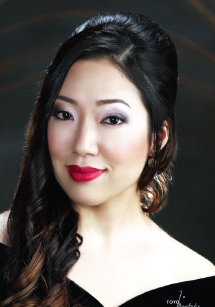 Tomita’s hobbies include attending live music performances, making pottery pieces, listening to spoken word poetry, and watching plays at the Pantages Theater in Hollywood. Tomita is supporting the Michael J. Fox Foundation as her platform. 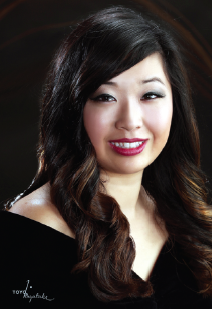 Shannon Aiko Rose Tsumaki is 22 years old and a graduate of Whittier College with a bachelor’s degree in sociology and a minor in anthropology. She hopes to attain a management role in human resources, helping individuals to reach their potential as motivated and efficient employees. Tsumaki’s hobbies include playing and coaching basketball, going to Disneyland, visiting her family in Hawaii, hanging out with her friends, watching movies, and baking treats. The platform she will support is Susan G. Komen for the Cure.